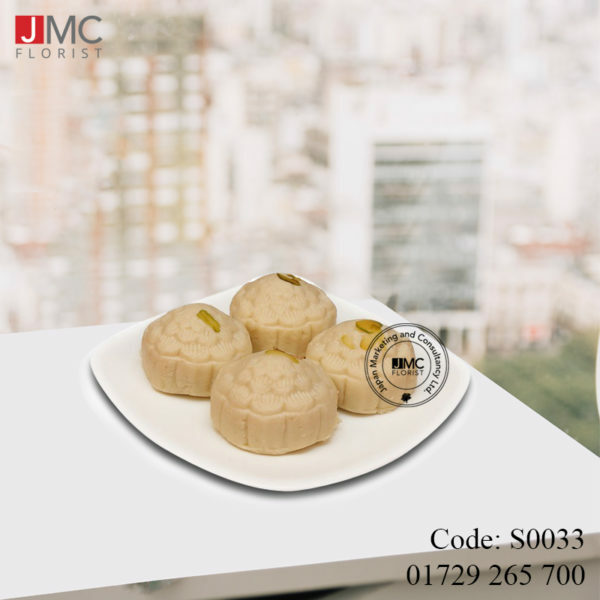 Nutritionally rich, luscious delight Pistachiew Shondesh is a delectable choice. Fresh, bright, milky, and mild Queso fresco (aka “fresh cheese”, or “Homemade cottage cheese” or “Chenna”), sugar, cream and malted milk, combined with premium ghee and pistachio. Have a mouthful bite and enjoy its yummy tender sensation.